President Jacob Zuma has revelead in a statement on Wednesday that he will send his Minister for Defence and Military Vterans, Ms Nosiviwe Mapisa-Nqakula state security minister Bongani Bongo to Zimbabwe “to meet with President Robert Mugabe and the Zimbabwean Defence Force”. 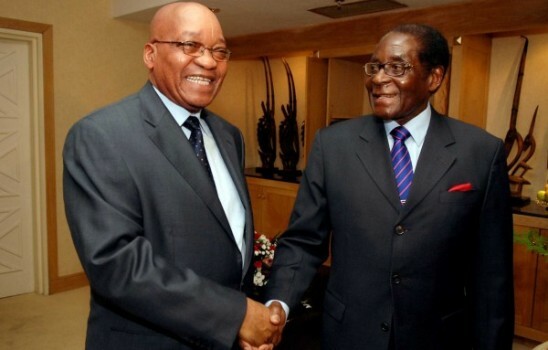 President Zuma, who is the current chairperson of the Southern African Development Community (SADC), disclosed talks with President Mugabe, “who indicated that he was confined to his home” but doing fine. This was after reports of gunshots around his residential area. According to the statement, the special envoys will also be sent to Angola to meet President Angolan Joao Lourenco, who serves as the chairperson of the SADC organ on politics, defence and security will be briefed on the situation. He urged for calm in the country and as SADC is continuing to monitor activity in Zimbabwe.